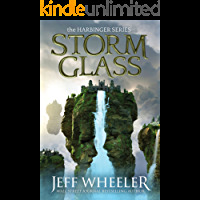 Wall Street Journal bestselling author Jeff Wheeler continues his wondrous Harbinger series in which two young women unite as two worlds approach the brink of war...Though relations between Princess Seraphin Fitzempress and her father have been strained, Sera's royal position has remained unchallenged. Filled with self-doubt, she struggles to grasp the Mysteries--her greatest trial yet.An education in the enigmatic magic is a necessary one, should Sera plan to rise in her station and invoke her powers during war. But the emperor's death now leaves both Sera and her ambitious father eligible for the throne--a contest the prince regent intends to win. Even if it means an alliance with a rival empire.Sera's hope lies in Cettie, a waif raised in the world below, whose life has intertwined with Sera's in the most unexpected ways. The Mysteries come easily to Cettie, and her studies have begun to yield new insight into her growing powers. But those same powers put Cettie in the path of those who would destroy her.Now as the threat of war ignites and an insidious sickness spreads throughout the kingdom, Sera and Cettie will need to gather their courage and fight for each other's lives...and for the future of their endangered world. Three months after returning Magician Emery Thane's heart to his body, Ceony Twill is well on her way to becoming a Folder. Unfortunately, not all of Ceony's thoughts have been focused on paper magic. Though she was promised romance by a fortuity box, Ceony still hasn't broken the teacher-student barrier with Emery, despite their growing closeness.When a magician with a penchant for revenge believes that Ceony possesses a secret, he vows to discover it...even if it tears apart the very fabric of their magical world. 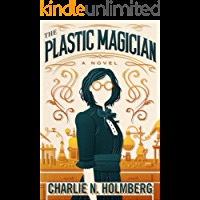 After a series of attacks target Ceony and catch those she holds most dear in the crossfire, Ceony knows she must find the true limits of her powers...and keep her knowledge from falling into wayward hands.The delightful sequel to Charlie N. Holmberg's The Paper Magician, The Glass Magician will charm readers young and old alike. 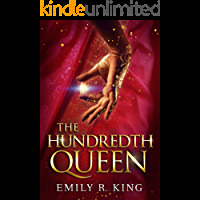 In the second book in The Hundredth Queen Series, Emily R. King once again follows a young warrior queen's rise to meet her destiny in a richly imagined world of sorcery and forbidden powers.Though the tyrant rajah she was forced to marry is dead, Kalinda's troubles are far from over. A warlord has invaded the imperial city, and now she's in exile. But she isn't alone. Kalinda has the allegiance of Captain Deven Naik, her guard and beloved, imprisoned for treason and stripped of command. With the empire at war, their best hope is to find Prince Ashwin, the rajah's son, who has promised Deven's freedom on one condition: that Kalinda will fight and defeat three formidable opponents.But as Kalinda's tournament strengths are once again challenged, so too is her relationship with Deven. While Deven fears her powers, Ashwin reveres them--as well as the courageous woman who wields them. Kalinda comes to regard Ashwin as the only man who can repair a warring world and finds herself torn between her allegiance to Deven and a newly found respect for the young prince.With both the responsibility to protect her people and the fate of those she loves weighing heavily upon her, Kalinda is forced again to compete. She must test the limits of her fire powers and her hard-won wisdom. But will that be enough to unite the empire without sacrificing all she holds dear? Throughout her studies, Ceony Twill has harbored a secret, one she's kept from even her mentor, Emery Thane. She's discovered how to practice forms of magic other than her own--an ability long thought impossible.While all seems set for Ceony to complete her apprenticeship and pass her upcoming final magician's exam, life quickly becomes complicated. To avoid favoritism, Emery sends her to another paper magician for testing, a Folder who despises Emery and cares even less for his apprentice. To make matters worse, a murderous criminal from Ceony's past escapes imprisonment. Now she must track the power-hungry convict across England before he can take his revenge. With her life and loved ones hanging in the balance, Ceony must face a criminal who wields the one magic that she does not, and it may prove more powerful than all her skills combined.The whimsical and captivating follow-up to The Paper Magician and The Glass Magician, The Master Magician will enchant readers of all ages. From Wall Street Journal bestselling author Jeff Wheeler.King Severn Argentine's fearsome reputation precedes him: usurper of the throne, killer of rightful heirs, ruthless punisher of traitors. Attempting to depose him, the Duke of Kiskaddon gambles...and loses. Now the duke must atone by handing over his young son, Owen, as the king's hostage. And should his loyalty falter again, the boy will pay with his life.Seeking allies and eluding Severn's spies, Owen learns to survive in the court of Kingfountain. But when new evidence of his father's betrayal threatens to seal his fate, Owen must win the vengeful king's favor by proving his worth--through extraordinary means. And only one person can aid his desperate cause: a mysterious woman, dwelling in secrecy, who truly wields power over life, death, and destiny. Four elite fae warriors. One mortal female. A magical bond they can't allow--or resist. Orphaned and sold to a harsh master, Lera's life is about mucking stalls, avoiding her master's advances, and steering clear of the mystical forest separating the mortal and fae worlds. Only fools venture into the immortal realms, and only dark rumors come out... Until four powerful fae warriors appear at Lera's barn. River, Coal, Tye, and Shade have waited a decade for their new fifth to be chosen, the wounds from their quint brother's loss still raw. But the magic has played a cruel trick, bonding the four immortal warriors to... a female. A mortal female. Distractingly beautiful and dangerously frail, Lera can only be one thing--a mistake. Yet as the males bring Lera back to the fae lands to sever the bond, they discover that she holds more power over their souls than is safe for anyone... especially for Lera herself. Power of Five is a full-length reverse-harem fantasy novel. Four cords of power. Three trials. Two soul-crushing secrets. For Lera, training has never been so hard. With the males' power roaring in her veins and River's cold demand that she master the magic before the third trial, something has to give. Worse still, River is keeping something from her. Something about his past and Lunos's future.For River and Coal, the past must stay buried. Though one male's nightmare sits on a throne and the other's hides in his soul, they are equally unprepared for Lera's startling determination to undress the truth. But when Mors's Emperor Jawrar makes a play for Lunos, neither Lera's fledgling magic nor the males' old wounds can remain untouched--not if their world is to survive.TRIAL OF THREE is a full-length reverse-harem fantasy novel, third in the Amazon bestselling, KU-All Star POWER OF FIVE series. Diana Gabaldon's brilliant storytelling has captivated millions of readers in her bestselling and award-winning Outlander saga. 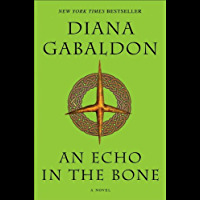 In An Echo in the Bone, the seventh volume, Gabaldon continues the extraordinary story of the eighteenth-century Scotsman Jamie Fraser and his twentieth-century time-traveling wife, Claire Randall. Jamie Fraser, former Jacobite and reluctant rebel, is already certain of three things about the American rebellion: The Americans will win, fighting on the side of victory is no guarantee of survival, and he'd rather die than have to face his illegitimate son--a young lieutenant in the British army--across the barrel of a gun. Claire Randall knows that the Americans will win, too, but not what the ultimate price may be. That price won't include Jamie's life or his happiness, though--not if she has anything to say about it. Meanwhile, in the relative safety of the twentieth century, Jamie and Claire's daughter, Brianna, and her husband, Roger MacKenzie, have resettled in a historic Scottish home where, across a chasm of two centuries, the unfolding drama of Brianna's parents' story comes to life through Claire's letters. The fragile pages reveal Claire's love for battle-scarred Jamie Fraser and their flight from North Carolina to the high seas, where they encounter privateers and ocean battles--as Brianna and Roger search for clues not only to Claire's fate but to their own. Because the future of the MacKenzie family in the Highlands is mysteriously, irrevocably, and intimately entwined with life and death in war-torn colonial America. With stunning cameos of historical characters from Benedict Arnold to Benjamin Franklin, An Echo in the Bone is a soaring masterpiece of imagination, insight, character, and adventure--a novel that echoes in the mind long after the last page is turned.BONUS: This edition includes an excerpt from Diana Gabaldon's Written in My Own Heart's Blood. Marshal Apostle Richardson faces off against bloodthirsty outlaws, flesh witches, ruthless vigilantes, and more in this gritty, magical re-imagining of the Old West.Almena Guillory, better known as the Grizzly Queen of the West, has done plenty to warrant the noose, but US Marshal Apostle Richardson enforces the law, he doesn't decide it. When a posse tries to lynch Almena ahead of her trial, Apostle refuses their form of expedited justice - and receives a bullet for his trouble. Almena spares him through the use of dangerous flesh magic but escapes soon after saving him. Weeks later, Apostle fears the outlaw queen has returned to her old ways when she's spotted terrorizing Kansas with a new gang in tow. When cornered, however, Almena makes a convincing case for her innocence and proposes a plan to take the real bandits down. Working with a known killer opens Apostle up to all sorts of trouble, not the least being his own growing attraction toward the roguish woman. Turning Almena away from vengeance may be out of the question, but if he doesn't try, she'll wind up right where the law wants her: at the end of a rope.And if Apostle isn't careful, he'll end up joining her. 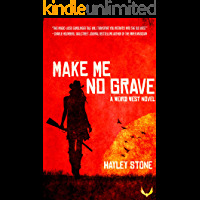 If you like Red Dead Redemption and Lila Bowen's Wake of Vultures, you'll love this gun-blazing weird western. In a place she doesn't belong, in a time that is not her own, a shattered woman risks everything for the one thing she's never had--love.When Kinley Chandler abruptly lands in medieval Scotland, there isn't much she's leaving behind. With her body shattered and her military career over, Kinley has resigned herself to death. But in the past, all that changes.Lachlan McDonnel, the laird of a clan of immortal highlanders, can hardly believe his good fortune. Not only does the mysterious lass save his life, she awakens his heart in a way he'd thought no longer possible.But the druid spells that allow Lachlan's clan to live forever have a dark side as well. He and his men know all too well that the magic folk never give without taking. 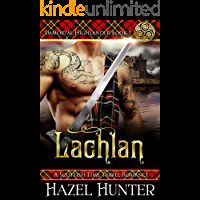 Though he is sworn to protect them from the dreaded undead, the price of his loyalty may finally be too high.Lachlan is the first book in the Immortal Highlander series. If you love brawny heroes, a mystical world, and a heroine with courage, then you'll love this sizzling series. Join the romantic realm of the Immortal Highlanders by picking up a copy of this book today. Mature readers comfortable with dark themes only please.